A major cultural hub in Northern Germany, the Hanseatic city of Bremen is a great place for a weekend away. The city has played a significant role in European history since the time of Charlemagne, when the people of Bremen were banned from worshipping the Saxon gods. The best way to explore the city is on foot, walking along the streets taking in the wealth of architectural beauty as well as its situation on the River Wiese. The best places to stay in Bremen range from historic houses to ultra-modern hotels, and most of our recommendations are very centrally located so ideal for exploring the town's highlights. Culture vultures should definitely head over to Bremer Geschichtenhaus, where actors re-enact the city's history right in front of your eyes. The Universum Bremen interactive science museum is a great place to visit with the family. If you're more artistically inclined then be sure to see the Kuntshalle Bremen's lovely collection. Take a break from sightseeing and enjoy a pleasant stroll through the picturesque Buergerpark. Bremen Town Hall (Rathaus) is an architecturally striking building showcasing the Renaissance's influence in North Germany - a must see if you're in the city. Alive with creativity and culture, there's plenty in Bremen to sustain interested visitors. Our selection of the best places to stay in Bremen provide a range of options that will suit everyone from families to romantic couples. The colourful and contemporary Arte(P)73 is a splendid all-round option, offering self-catering accommodation right in the centre of town. With double rooms starting from just €59, what's not to love? If you're looking for a more upmarket option then consider the Atlantic Grand Hotel. 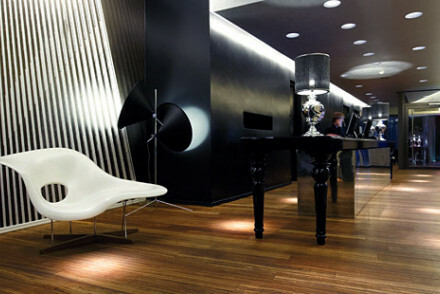 This sleek and stylish spot is also centrally located, plus there are two restaurants, a smart bar and a spoiling spa. Family suites available. 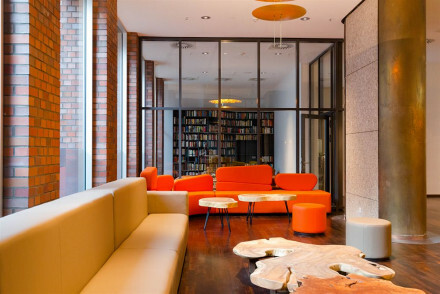 The Five Seasons Design Hotel is a hip choice - featuring quirky contemporary accommodation and located just a short distance from the sights. Elements Pure boasts Feng Shui inspired interiors and individually designed rooms. Come back after a day out sightseeing to enjoy lovely meals from the restaurant and unwind in the spa. Located right on the riverbank, Hotel Uberfluss is an upmarket designer property with monochrome interiors and chic rooms. It offers all the necessary mod cons. for a splendid stay and offers Northern German cuisine. Villa Linnenschmidt, set in an elegant red brick property, provides classically decorated rooms away from the hustle and bustle of the city centre. A smart choice. Bremen's best weather is during the summer, with the average daily temperature reaching 17°C in July and August. Visitors can fly into Bremen Airport, served by direct flights from a variety of European destinations (including from Stansted with Ryanair). Once at the airport, take tram line 6 into the city centre - with the journey lasting just ten minutes. Browse through our entire list of all the best places to stay in Bremen. Widen the net to search through our recommendations in Hamburg, Hanover or Münster. A hip hotel in central Bremen. Chic contemporary-style rooms offer quirky design and views of the city. A delicious breakfast is served everyday and the on site bar is perfect for a pre-dinner drink. Conveniently located within walking distance of many of the city's finest bars and restaurants. Value chic - Very resonably priced rooms considering the design interiors, central location and excelllent service. 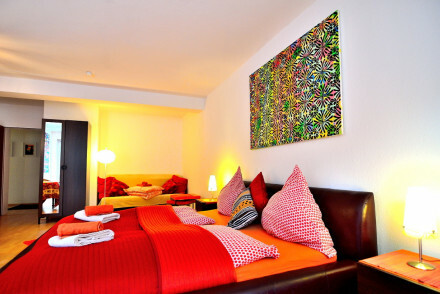 Local exploring - Located in the heart of Bremen, near the tourist attractions, restaurants, cafes and shops. Sights nearby - Explore the 'market square' with the Town Hall, the Bremen Statue of Roland and St. Peter's Cathedral. Local markets - The city centre offers numerous boutiques, fashion stores and antique and flea markets. A unique hotel in the heart of Bremen historic centre. The decor and ethos focus on Feng Shui and well being. Chic and modern rooms are individually designed, based around the five elements. An in house restaurant, spa, chill-out lounge and bar add to the charm of this luxury hotel. Local exploring - Centrally located, overlooking the old city ramparts, and only a short walk to the Bremen Central Train Station. Total relaxation - This hotel radiates a calm and relaxing vibe, enhanced by its adherence to Feng Shui as well as the rooftop spa! Sights nearby - The City Hall and the Cathedral cannot be missed by anyone with an interest in architecture or history. 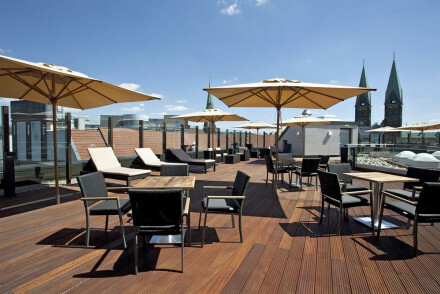 This centrally located hotel, overlooking Bremen's Old Town, features simple yet stylish rooms with modern, slate tiled bathrooms. There are two restaurants, serving international cuisine plus a smart bar and smoking lounge. The addition of a gym and spa makes it an ideal urban oasis. Families - The perfect base for a trip en masse to Bremen, with family suites and a pet friendly policy! Local exploring - The River Weser and many more of Bremen's sights are within walking distance. Sights nearby - Guests must visit the Bremen Town Hall and the statue of the Bremen Town Musicians. Great walks - The River Weser is just a two minute walk from your front door. Design hotel on the riverbanks. Chic interiors have monochrome colour scheme, contemporary furniture and pale wood details; opulent bathrooms. Spa, gym, indoor pool, saunas and garden. Excellent North German menu and buzzy bar. Arty, friendly and modern. 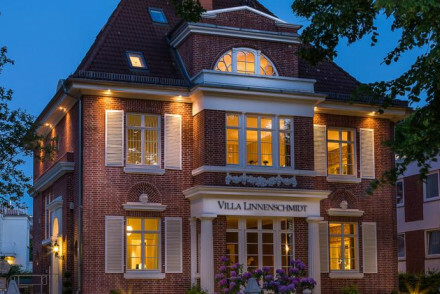 A elegant hotel set in a beautiful red-brick building, just outside the centre of Bremen. The rooms are classically styled with comfortable furniture and simple colour schemes. A twenty minute walk from the city's fascinating old town, it's a quiet spot to retreat to after a day of exploring Bremen. Hideaway - The large and comfortable bedrooms provide a welcome peaceful retreat from the bustle of the city centre. Local markets - Guests staying in the winter months must visit the Bremen Christmas market. Sights nearby - Visit the Old Town of Bremen and the iconic Bremen Town Hall.